Join Now! 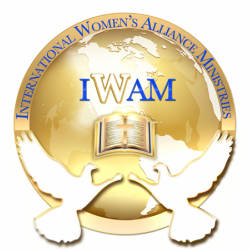 - International Women's Alliance Ministries, Inc. Membership in this network is $40 for basic membership. to join this alliance please complete registration form below and click on submit. Go to the store to make your payment of $40. Click on the donation item to make your payment. someone will contact you by e-mail or phone to verify your information before being added to our database of members. You do not need to have a ministry to join. If you do not have a ministry include the word "none" in the space in the form or the name of your church. All believers are called to serve and witness. Thanks for your submission...let's advance kingdom culture, the glory of God. Go to membership registration form to register on this page for basic membership, or click on the drop-down menu to register for vip and lifetime vip membership. also, click on tab for benefits of membership page to review. 8. Your events, photos and videos listed on our publicity page. 9. Special leadership Mentoring sessions Available. form for basic Member registration only. Please provide the name of your ministry and mission and web site, if available for our database. Or include the name of your church affiliation in this space. Thanks.